Ethiopian Air Lines, was founded on 21 December 1945 and commenced operations on 8 April 1946 expanding to international flights in 1951. The firm became a share company in 1965, and changed its name from Ethiopian Air Lines to Ethiopian Airlines. 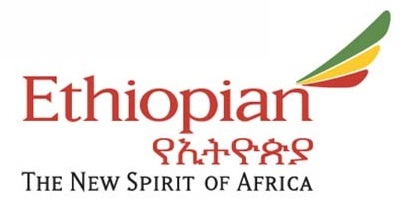 Ethiopian is a member of the International Air Transport Association, and, since 1968, of the African Airlines Association (AFRAA).The airline is a Star Alliance member since December 2011. Its hub and headquarters are at Bole International Airport in Addis Ababa, from where it serves a network of 80 passenger destinations —16 of them domestic— and 17 freighter ones. Ethiopian flies to more destinations in Africa than any other carrier. It is one of the fastest-growing companies in the industry, and is among the largest on the African continent.It is also one of the few profitable airlines in the Sub-Saharan region.The airline's cargo division was awarded The African Cargo Airline of the Year in early 2011. Addis Abba is a city of surprises characterised by remarkable diversity and contrast. 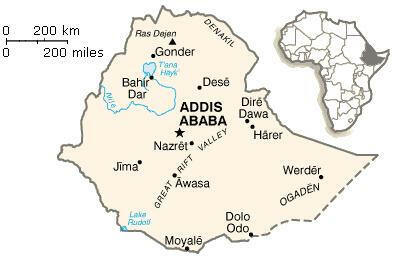 Abundant eucalyptus trees and crisp clear mountain air endow the Ethiopian capital city with the bracing atmosphere of a highland summer resort. Its cosy espresso bars and patisseries are reminiscent of Rome or the Mediterranean, whereas its bustling outdoor markets are colourful reminders of more traditional ways of life such as those found in Delhi or Bombay. Addis Abba is as vibrant and cosmopolitan as any of the world's great metropolises.